Will Poulter and Anthony Mackie in Detroit. 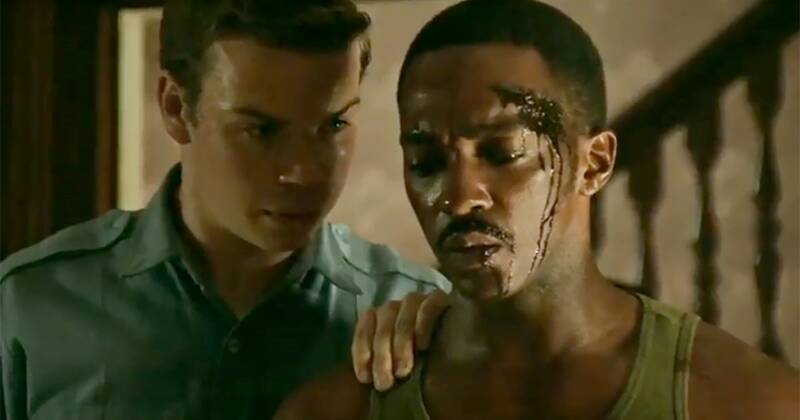 There certainly couldn't have been a more timely film released last summer than Kathryn Bigelow's Detroit, which dramatized the 1967 five-day race riots in the Motor City that left 43 dead and close to 1,200 injured. Besides commemorating the 50th anniversary of this ugly tragedy, Detroit is also a powerful, unsettling and politically prescient piece of dramatic realism that creates a reverberating link to a number of contemporary events. As we've seen, race relations in the early stages of the Trump era have deteriorated so badly that within weeks of the movie's release neo-Nazis and white supremacists marched openly and defiantly in the streets of Charlottesville, Virginia, shouting racist and anti-Semitic slogans without fear of recrimination.The fact that Detroit disappeared from screens – without a whisper – within weeks of Charlottesville, amply demonstrates that the picture is still in need of a hearing. Detroit focuses primarily on an infamous incident at the Algiers Motel in which three black teens – Aubrey Pollard (Nathan Davis, Jr.), Carl Cooper (Jason Mitchell), and Fred Temple (Jacob Latimore) – were murdered by local police in a raid where they were searching for an alleged sniper they believed had been firing at them. Seven other black men, and two young white women, were also beaten and tortured, according to the victims and several officers present that evening. Ultimately, the three white cops would be acquitted of the murders and assaults by an all-white jury. Working from a script by Mark Boal (who also wrote and produced Bigelow's The Hurt Locker and Zero Dark Thirty), and inspired by John Hersey's book, The Algiers Motel Incident, Bigelow gives Detroit a shocking documentary-style immediacy. 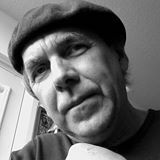 Cinematographer Barry Ackroyd's fluid camerawork catches moments in the action – from the sprawling, darkened streets filled with prowling National Guardsmen, random looters and hidden snipers to the claustrophobic intimacy of the motel interrogation – as if each episode were erupting in the blink of an eye. Editor William Goldenberg's cuts are so precise that the film pulses along like one continuous shot that builds in intensity. Detroit provides an animated prologue that sets the context for the events of 1967. When many Southern blacks emigrated North after the Second World War to find opportunities denied them, Northern whites quickly abandoned the cities for the suburbs and took the jobs with them. Blacks arrived and remained jobless in segregated poverty and cramped in teeming neighbourhood housing. By 1967, with anger and frustration boiling over in the black community, the riots in July were inevitable. They were triggered primarily by a police raid of a speakeasy where there was a celebration for black veterans returning from Vietnam. Bigelow opens Detroit with that raid and then gives us a widened view of the escalating riots before gradually narrowing in on the main characters who would become part of the tragedy at the Algiers Motel. During the second day of the riots, we see two cops pursue a looter fleeing with bags of groceries. One of the cops, Philip Krauss (Will Poulter), mortally wounds him with his shotgun, but Krauss is allowed to stay on active duty because his superiors haven't made up their mind, in the midst of the city turmoi,l whether to file murder charges. The Dramatics are an aspiring R&B band hoping to score a contract with Motown, but moments before their scheduled debut at a music hall, the police shut down the concert and order everyone home. The bus they're traveling on is attacked by rioters and the musicians split up. Lead singer Larry Reed (Algee Smith) and Fred Temple decide to rent a room at the Algiers for the night. There they meet two white girls, Julie Ann (Hannah Murray) and Karen (Kaitlyn Dever), whom they try to pick up, but instead they get invited to a party with their friends Aubrey Pollard and Carl Cooper. When Cooper and another friend start playing some nasty games with a starter's pistol, Julie and Karen go to another room to join Greene (Anthony Mackie), a Vietnam War vet, while Fred and Larry return in disappointment to their room. In a moment of frustration over the police occupation, Carl decides to taunt the police outside by shooting them with blanks from his toy pistol. The authorities, though, believe there's a real sniper and invade the motel to interrogate the residents. With them comes Melvin Dismukes (John Boyega), a black private security guard, who has been assigned to protect a grocery store from looters and has ingratiated himself with the cops. As Krauss arrives at the motel with his team, Flynn (Ben O'Toole) and Demens (Jack Reynor), he spots Cooper running away and shoots him. After letting him bleed out, he places a knife beside him to make it look like self-defense. Then he begins a protracted interrogation of the remaining witnesses (including the staging of mock executions) to get them to identify the sniper, but what we discover is that they are even more upset at finding two young white women among a number of black men. Detroit demonstrates how racism can be the fear of white men losing their women to virile black men. Christopher Nolan, the director of Dunkirk, has been acclaimed for creating a series of stunning set pieces that pull you into the awesome experience of that event. But while these scenes are certainly the most impressive action staging Nolan has ever done, the actors end up making very little impression because they're framed as if they were simply part of the set. You may be overwhelmed by the scale of Dunkirk, but you feel little for the characters who are supposed to engage us and to help clarify the story. Kathryn Bigelow achieves in Detroit what Nolan claims to do in Dunkirk. As she did in The Hurt Locker, Bigelow scales her compositions with an added depth of field, as if we were being pulled inside the screen, so that we are drawn into the action while never losing sight of the people caught in the vise of the story. No one actor dominates that story, but we never forget their faces. The youthful joy that drains from Algee Smith's face as Larry moves away from the dynamic pop sounds of The Dramatics at the end of the film turns out to be both scarring and healing. Will Poulter has a devious baby face that can't hide the ugliness of Krauss's racism any more than the same look hid Lt. Calley's in Vietnam during the My Lai massacre. Anthony Mackie's Green has a look of sour disappointment, as if he's come home to the wrong country, where he's treated like a pimp instead of a surviving veteran of the war in Southeast Asia. Both Hannah Murray's Julie Ann and Kaitlyn Dever's Karen are perfectly believable as young white women beginning to embrace the possibilities of racial integration, but finding themselves suddenly encountering the horrors that have made segregation a long, troubling reality in American life. Kathryn Bigelow directing the actors in Detroit. It could be argued that the interrogation sequence in Detroit goes on too long and that it borders on exploitation. But despite its accumulating intensity, I still think it works effectively because it allows us to experience not only the political and psychological implications of racism, but also the growing fear that fuels it. Rather than making a quick dramatic statement, Bigelow allows the scenes to build dramatically so that we are pulled into the protracted tension of the interrogation. Detroit does have its flaws. I would have liked more of the trial sequences than we get and the pacing gets a little slack in the last act. But you can't ignore the blinding immediacy of this picture. The issues it raises have changed so little today. How can you watch Detroit and not think of the number of black athletes – like Colin Kaepernick – taking a knee during the National Anthem, or recall the numerous shootings of blacks like Michael Brown, an unarmed teenager, in Ferguson, Mo. by a white policeman back in 2014? You don't feel so much that you are looking back in time when you're viewing Detroit as that you are looking inside something boiling over now. The fact that the film disappeared without a trace, or a discussion, or even an argument, shows that maybe we still have a lot more looking to do.